Just in time for Halloween this weekend, I finished Black-Eyed Susans by Julia Heaberlin. An eerie murder mystery, this is a great one to pick up on a dark fall evening. 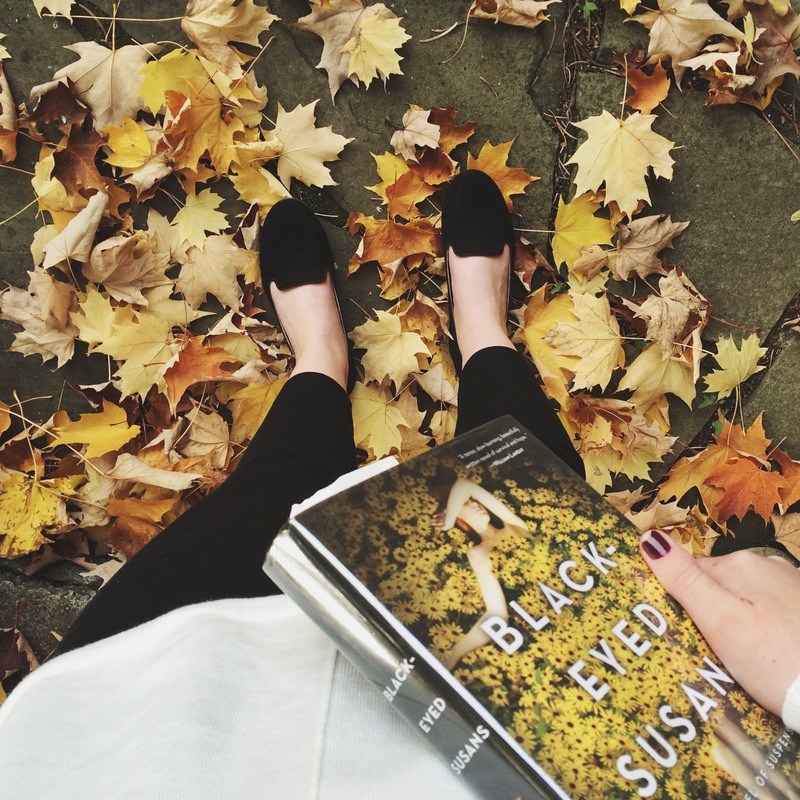 While Black-Eyed Susans is a haunting story, it doesn’t have the chilling tone of a Stephen King novel that can leave a reader feeling jumpy and full of nightmares. The scenes switch between Tessa, a mother in her mid-thirties, and Tessie, her teenage self twenty years earlier. When Tessie was sixteen she was found nearly dead, along with a pile of bones, in a patch of black-eyed susan flowers. As the lone survivor of the serial killer, police turned to Tessie for the murderer’s identity… the only problem is that she can’t remember what happened. Throughout Black-Eyed Susans it is clear that Tessa has not been able to move on from the horror of that night. When a patch of black-eyed susans are planted under her window, Tessa fears that she and her daughter Charlie may have to face her monster once again nearly two decades later. I enjoyed this mystery novel and it kept me pretty hooked. There were a few questions that I felt were left unanswered, but maybe that was Heaberlin’s intention all along, no matter how frustrating! I really enjoyed this book too! I really enjoy your blog. You do a great job with your reviews!